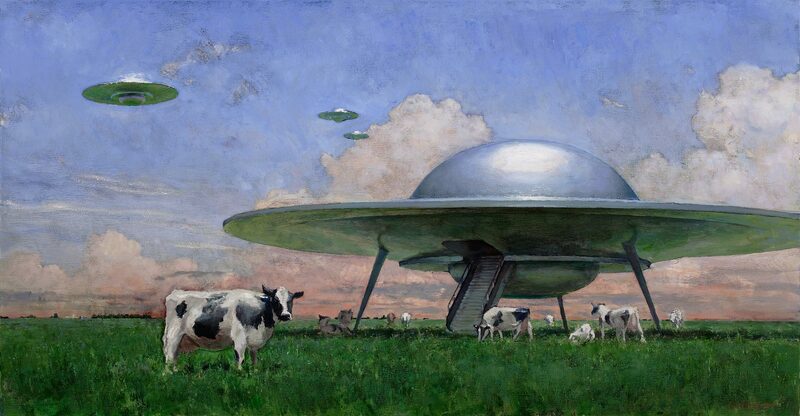 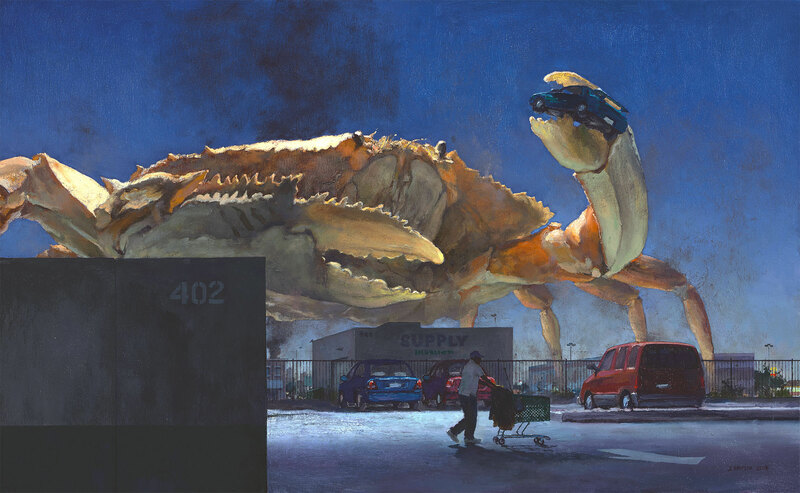 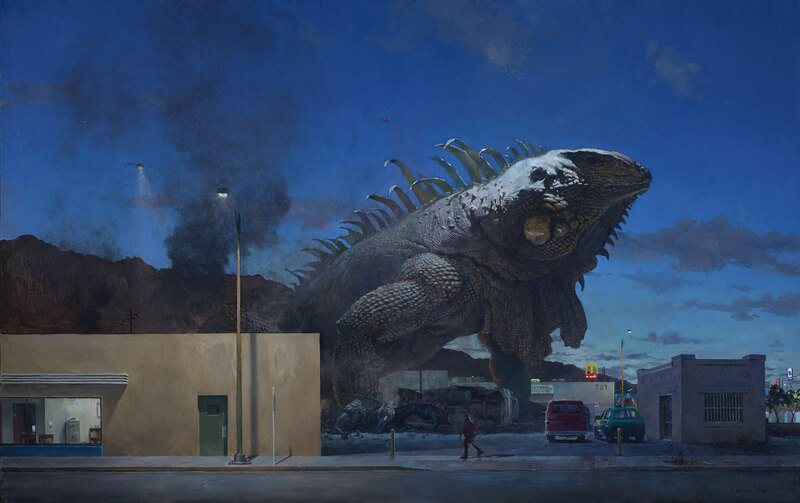 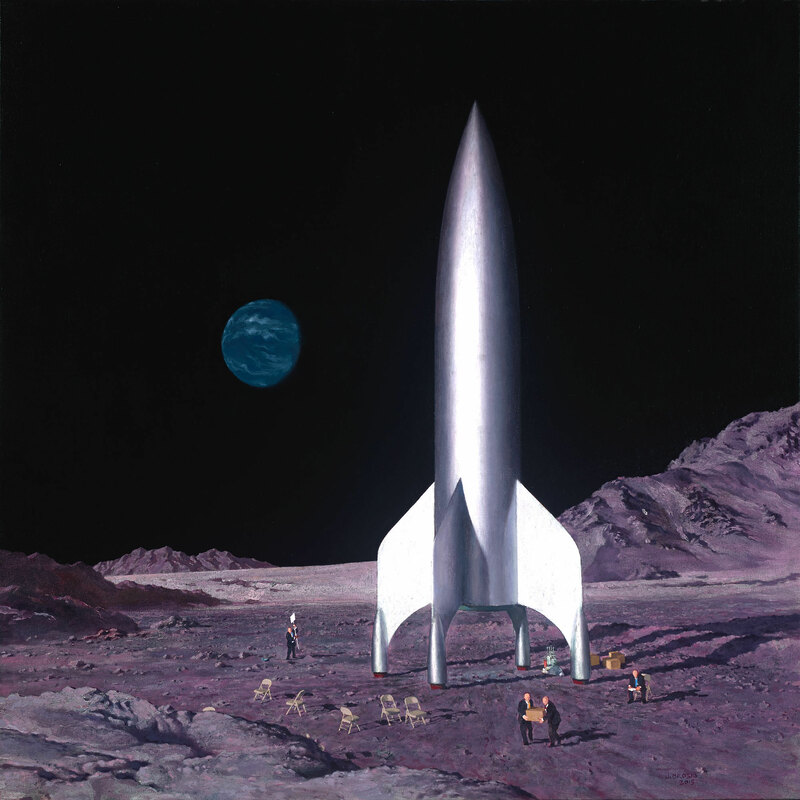 John Brosio is an American painter from California, fascinated by fantasy creatures and science fiction. 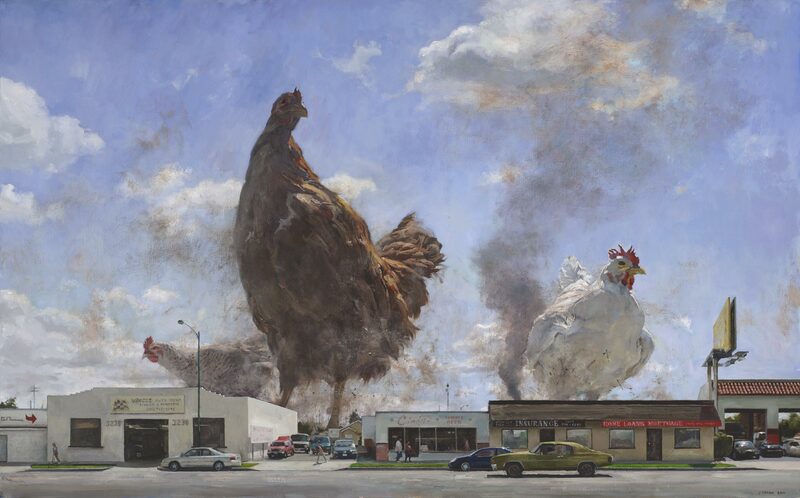 His works deal with major contemporary issues and seems to come directly from American film industry. 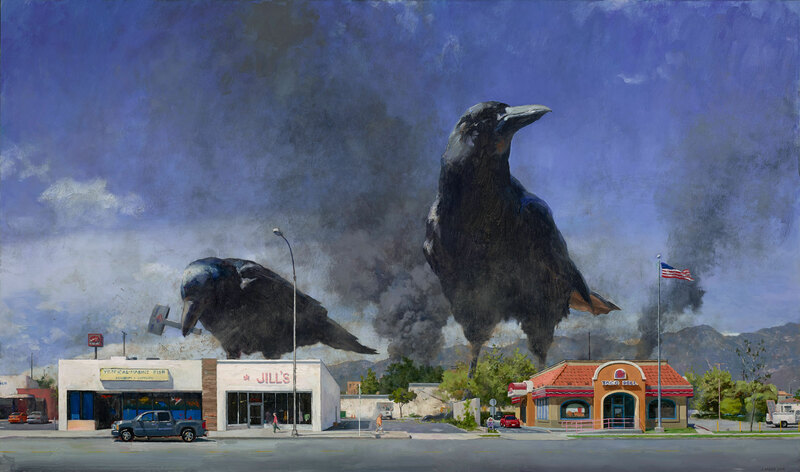 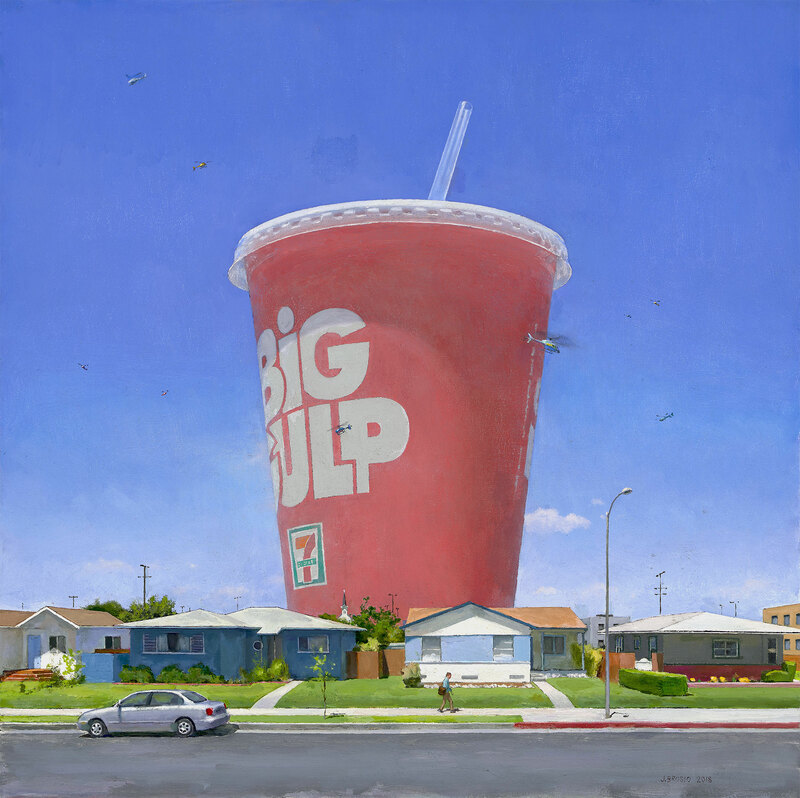 Featuring mammoths and terrifying animals like threats over cities and homes, but also UFOs, prehistoric creatures or giant goblets, the artist deals with various topics that cross the ages, making us discover new dystopian and striking dimensions.